JKT48 | 最新情報 | Special Announcement about AKB48 Group Asia Festival Event Part 1: Mini Concert! HOME » 最新情報 » Special Announcement about AKB48 Group Asia Festival Event Part 1: Mini Concert! 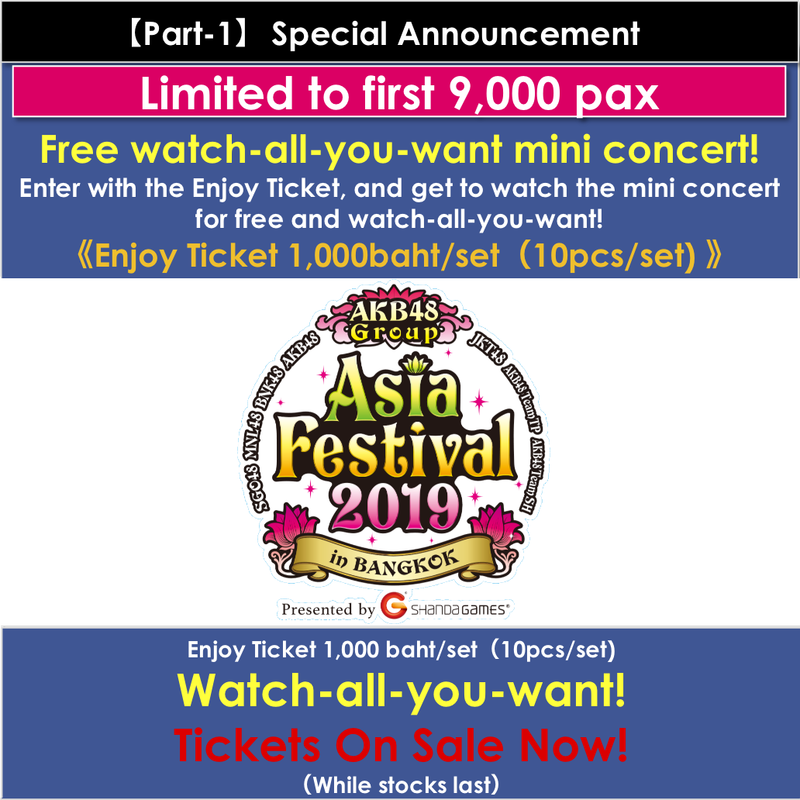 Special Announcement about AKB48 Group Asia Festival Event Part 1: Mini Concert! Enter with the Enjoy Ticket, and get to watch the Mini Concert for free and watch-all-you-want! ★Customers who purchased tickets for 「AKB48 Group Joint Concert」 may enter the Mini Concert even without the Enjoy Ticket, and watch-all-you-want!